London, 22 Nov. 2011: Maison dAnu launches a natural Anti-Ageing Shaving Serum for Men. 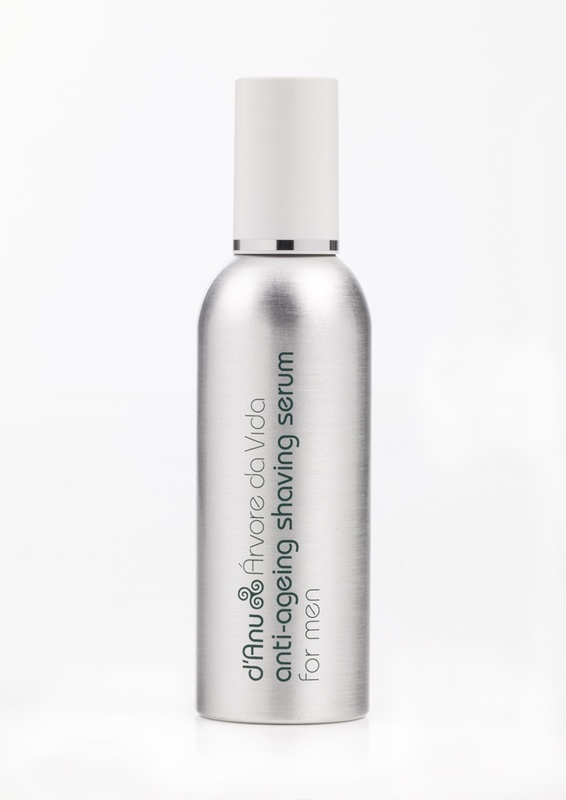 This unique and effective serum is designed for the man on the move and can be used as a shaving serum and face cleanser in one. Formulated with natures most powerful natural anti-inflammatory ingredients from the Amazon (Natures Pharmacy) to eliminate razor burn and calm the skin. Natural oils create a greater glide factor on the skin to reduce the risk of cuts or nicks without clogging pores whilst antioxidants and anti-ageing botanical extracts protect the skin from opportunistic (ageing) free radicals. Skin is instantly softer, smoother, calmer and hydrated. “This shaving serum is for every man I have ever seen with little bits of paper blotting the blood from cuts and nicks endured in the daily shaving ritual. The caustic chemicals slathered on afterwards in an attempt to ease the redness and burning always seemed to me to be quite masochistic”. Maison dAnu is steadily gaining a reputation as one of the leaders in natural beauty products for both men and women. Dedicated to delivering the most effective yet natural solutions through scientific know-how, products include skin-care, hair-care, and nail colours/treatments. Hi-res imagery is available of the product. This press release was distributed by ResponseSource Press Release Wire on behalf of Maison Danu Ltd in the following categories: Men's Interest, for more information visit https://pressreleasewire.responsesource.com/about.